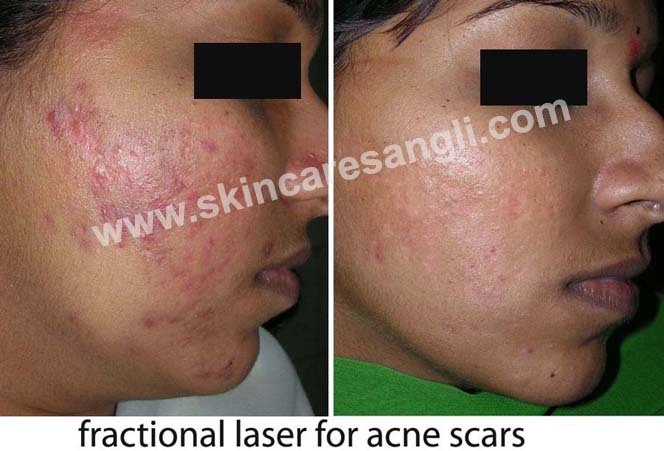 Acne scar, surgical scars, chickenpox scars give ugly look to skin. Medical line of treatment is not satisfactory for scars. Fractional CO2 lasers and micro needle radiofrequency machines give good results for these indications. Treatment is done 4 to 6 weeks apart. 3 to 5 sessions depending on site and size of scar are needed. It is done under topical anesthesia. Topical anesthetic cream is applied for 40 minutes on scar which will numb the area and then treatment is done . Post treatment redness lasts for 24 to 48 hrs. 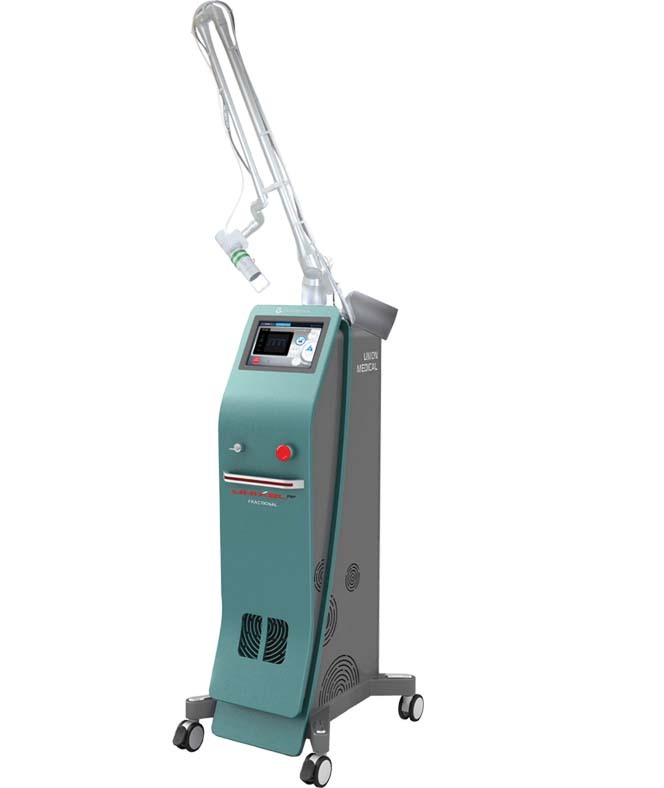 patient should avoid sun exposure for 5 days in Fractional CO2 lasers and 2 days in micro needle radiofrequency treatment. Downtime is less in micro needle radiofrequency.